When you think of the word investment the first thing that comes to most of our minds is taking money and putting it in CD’s or buying a franchise or flipping a house. Or in the music world Rappers may consider it to be paying for studio time & services to lay down our rap vocals, buying our favorite hip-hop instrumentals, getting album cover art made in hopes of creating a product to make a profit off of. While those all can definitely be really good investments that can lead to substantial amounts of return I propose that money is not the only investment that they require. In order for someone to successfully flip a house they would need to study the surrounding area. For example, is there a toxic waste plant nearby or a school. What are development plans? Could the property be eventually zoned as commercial? What is the crime rate like? Has property value been spiraling down or has it been scaling up? Does the house need repairs & how much will that cost? Should you rent it or should you sell it? For Rappers to make a profit off of selling their music they would need to consider several factors as well. What is the market like? What are viable means that you could use to get your music in front of mass quantities of people? What local music stores & online stores could you get placements in. Will you do all of your marketing yourself or will you hire someone else to do it for you? how much will all of that cost? Do you have a distribution list of DJ’s, Radio Stations, Journalists & Fans who will appreciate your music and share it with others? What is your release date and what other artists are coming out with albums at that same time that could possibly compete with your sales. Who are you spending it with? Also take a good look at who you spend your time with and how they are spending their time as well. What efforts are they making? Do all they want to do is party or watch the next game? Or do they seem to be working diligently towards learning and growing in their crafts and trades as well? Chances are you and the people you are constantly with are heading in the same direction. That can either be a good or a bad thing. Not everyone values you’re time and has consideration for your well being either and they will use all of your time up if you permit it. You may need to make some adjustments to the company that you have been keeping. Rappers reflect on how you are spending your time. You don’t know how much more of it you have and you will never get it back. Time fly’s and it is too valuable to be squandered & wasted. God has blessed us all with this astonishing gift called life. He has equipped us with creativity, intellect, insight, & wisdom. But possessing something does you no good if you do not persistently use it. So be resourceful and spend your time wisely in ways that are helpful and beneficial to you as well as others and you will reap returns that will substantially surpass by leaps and bounds anything that money could ever offer. If you enjoyed this blog on Rappers Greatest Investment and would like to stay updated on future postings you can subscribe here. 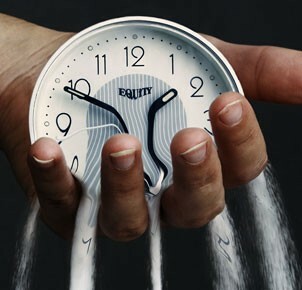 Time is the most expensive thing that we have. Great article Cole! No doubt about it Mr. Vermon. I came into the realization of this truth shortly after I got out of high school and it really changed my life and caused me to look at things much differently! Now I cherish every day and try to make the most of it! Thanks for reading and commenting! I sincerely appreciate it!